Moscow, January 29, Interfax - Primates of Orthodox Churches urged to set up moral world economy. “The Church cannot remain indifferent to economic processes that have negative influence on the whole humanity. It insists on the necessity not only to build economy on moral basis, but to serve a person by action with its help,” the draft document of the coming Pan-Orthodox Council reads as it was approved by primates of the Orthodox Churches and posted at the website of the Department for External Church Relations of the Russian Church. “Viable economy is the economy which combines efficiency with justice and social solidarity,” the Orthodox leaders are convinced. They are also concerned with growing imposition of customer’s lifestyle “which does not rely on Christian moral norms,” cases of disrespectful and blasphemous attitude to religious values, ecological crisis, and urge to modesty and self-restriction. 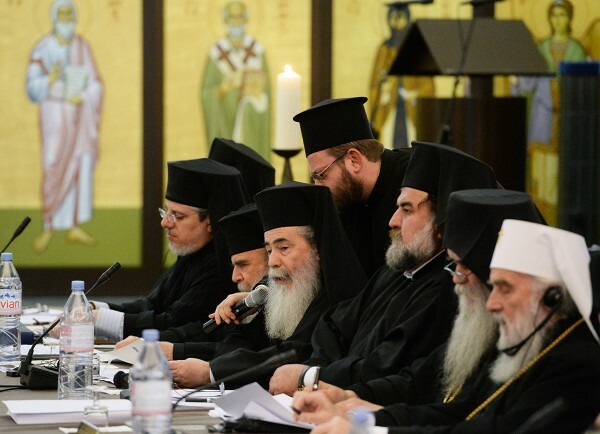 The Pan-Orthodox Council has not been convened in over 1,000 years and preparations have been underway for over half a century now. 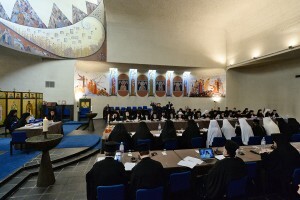 In 2014 Orthodox church leaders decided to convene the Pan-Orthodox Council in Istanbul on 2016, but with a reservation: “unless impeded by unforeseen circumstances.” At their meeting in Chambesy (Switzerland), Orthodox leaders have decided to hold the Council on the island of Crete from June 16 to June 27.